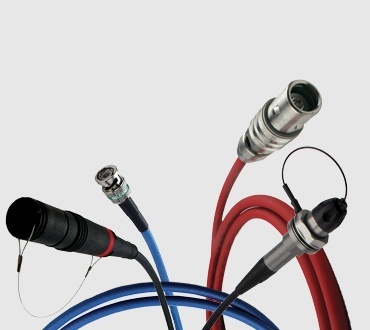 Belden Broadcast coax connectors maximize broadcast signal integrity, quality, performance and durability. 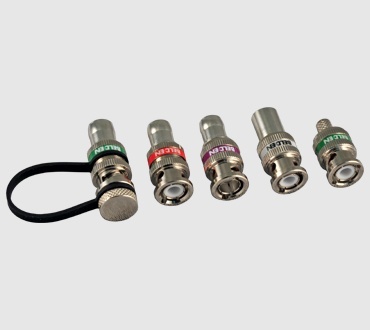 These connectors exceed SMPTE return loss standards, providing excellent headroom and true 75 Ohm performance for when broadcasters need to push the limits. Durability is excellent, with brass construction and patented compression rings ensuring pullout forces exceeding 100lbs, depending on the cable. 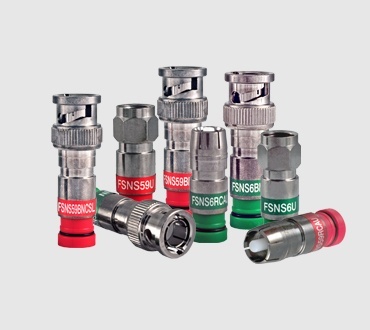 Belden offers connectors for all broadcast signal needs ranging from 6 GHz through 12 GHz. One piece and three piece connector types are available, each offering varying levels of electrical performance and installation speed. 6 GHz and 12 GHz rated 1-Piece and 3-Piece designs. Excellent return loss performance and faster installation. 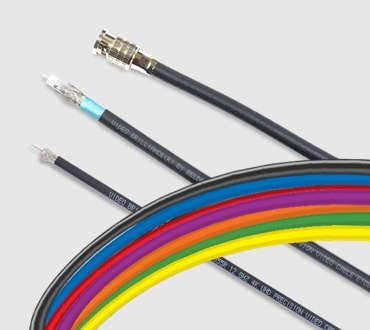 Color bands allow for easier connector size identification. Slicing center pin provides non-blind entry and assurance that the center conductor is properly seated in the connector. Patented extended head knurl nut design for easier gripping. Internal 360 compression rings provide excellent holding strength and eliminate ingress and egress from the back of the connector. Locking BNC features a screw-lock collar to physically "lock" the bayonet nut of the BNC in position, maintaining coaxial alignment from cable to connector for unparalleled RL performance. Our Recommended Transmission Distance chart shows the safe distance recommended for avoiding the digital cliff. Updated for UHDTV! Superior return loss through 4.5GHz providing headroom to account for potential losses elsewhere in the transmission line.